The below policy relates to how we handle returns, exchanges and damages for personal purchaser's. Can I return my order if there’s nothing wrong with it? Absolutely! We offer a 14 day (from purchase) returns guarantee on most stock items. To arrange your return please call our customer support team & obtain a returns authorisation number and collection cost. If you would prefer to send the item back yourself, please be advised to use an insured courier service as the item is your responsibility until it is back at the warehouse. Once back at our warehouse & confirmed to be in re-sellable condition we will issue a refund back onto the original payment method less any agreed collection costs. Can I exchange my product if ordered incorrectly? At Vanarack we understand mistakes can happen, that is why we offer a simple approach to exchanging products that are ordered incorrectly and offer a 14 day (after item is delivered) exchange policy. To start your exchange please call our customer support team to arrange a new order for the correct product which will dispatch on a next working day service. Our customer support team will then provide a returns authorisation number and collection cost for the return. The item for return must be in its original packaging and in a new, unfitted & re-sellable condition. Once the item is back at our warehouse & confirmed to be in re-sellable condition we will issue a refund back onto the original payment method less any agreed collection cost. What happens if my order arrives damaged or has missing items? When receiving your order from the courier please check the number of parcels & visually inspect all parcels for damage. For missing items you can either refuse the delivery or only sign for the number of parcels that are present. 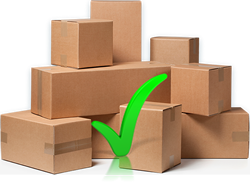 If you feel the items maybe damaged then either refuse the delivery, or sign for the items as damaged by the courier. Signing for the items in the above manner will allow us to claim for these damages from the courier, speeding up the process of sending out replacement parts for you. If once you have received your goods and find you are missing smaller parts from within the parcels please report these immediately for us to arrange replacement parts to be sent out. For details on how we handle business to business returns, exchanges & damages please see our Terms & Conditions page.